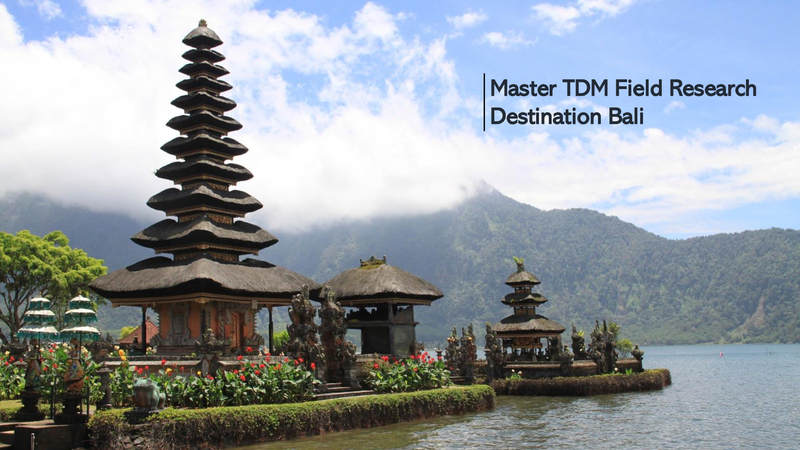 With their arrival in Melbourne, Phase 2 of the Master in Tourism Destination Management officially started. 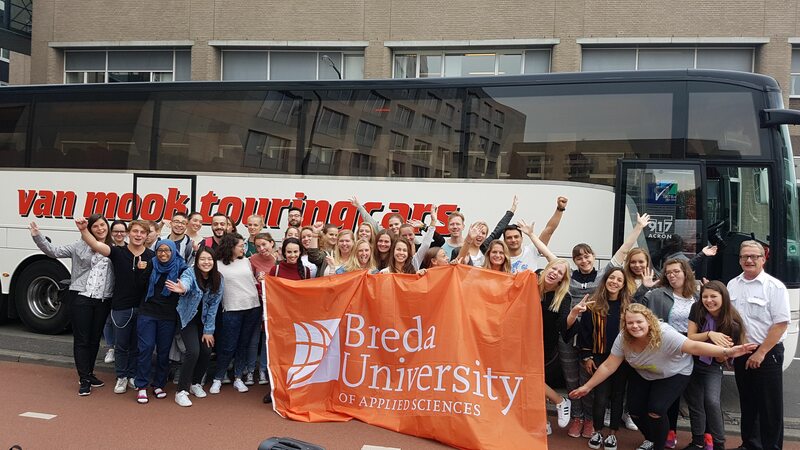 This is what many of our students had waited for – leaving the university context and start researching tourism related issues in real life scenarios. 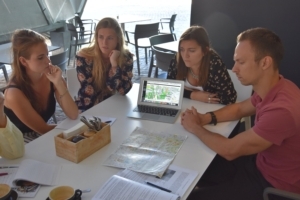 During final weeks of Phase 1 in Breda, the group already worked on desk research, starting to comprehend the context of the three destinations to be visited. 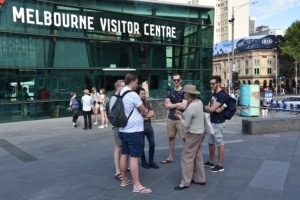 The first week in Melbourne further served as an introduction to both current developments surrounding the City of Melbourne and to what students are actually expected to do throughout the four weeks of their stay. 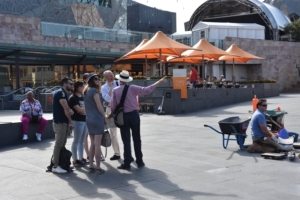 The first week started with meeting volunteer city guides at Federation Square. 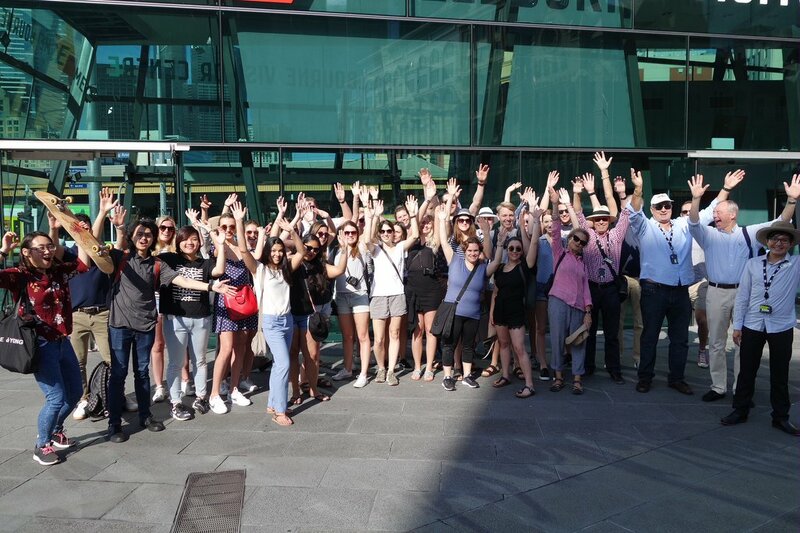 In small groups, they took our students through the Central Business District (CBD) of Melbourne. A great opportunity to visit most popular spots for residents and visitors. Furthermore, it was a chance to direct relevant questions to true Melbournians in an informal manner. The week went on with several pre-organized meetings with public- and private organizations, business owners and hotels. 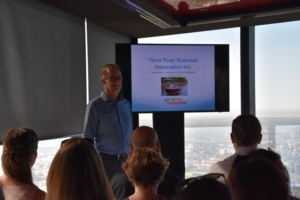 Our students received presentations by the Yarra River Business Association at Eureka Skydeck, visited the Melbourne Convention and Exhibition Centre, met the Chief Executive Officer of the Windsor Hotel and got first hand insights into current projects of the Metro Rail Authority Melbourne. Consequently, all of these meetings presented vital opportunities for the students to build an understanding towards current issues related to hospitality, infrastructure, and society. 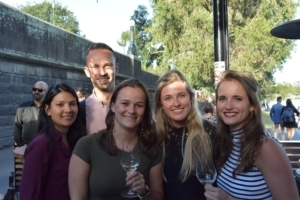 By the end of the week, it was time for TDM lecturers to meet the single research teams. 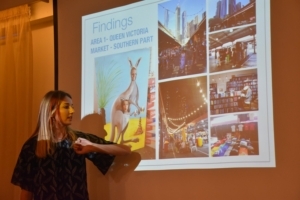 This year, 7 teams operated in three research areas in Melbourne – Southbank, CBD, and northern precincts surrounding the areas of Queen Victoria Market and Lygon Street. 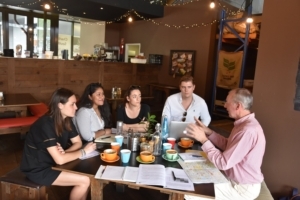 Each group was expected to collect and assess information on area characteristics, current visitor markets and possible future developments that will have an impact on the respective regions under study. 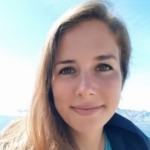 Moreover, they had to analyse these development from the perspective of a specific stakeholder group: Public Organizations, Micro- and Small Enterprises or Medium- and Large Organizations. 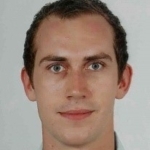 As a consequence, the different research areas and stakeholder focuses ensured that each of the teams conducted a highly individual research report that needed to be based on a very particular set of data. 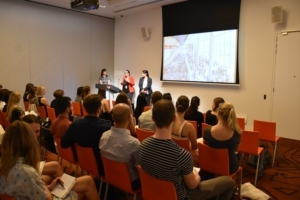 Still, their research could not neglect the overall context of Melbourne as a destination into which the assignment was embedded. 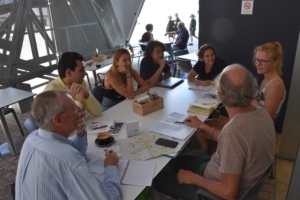 After first group consultancy meetings with the teachers, students more and more started to realize what they were going to do in Melbourne and in Phase 2 in general. The introduction program merely set the stage for the Melbourne assignment. Now, teams were required to design their research individually and independently. They could apply any kind of creative research methods including the collection of visuals, videos and informal conversations. Nevertheless, most effective approaches to collect relevant data included semi structured interviews and participant observation. Are there weekends in field research? 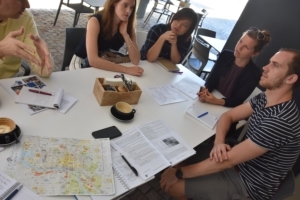 During week two and three in Melbourne students were left alone to conduct their research and to proceed with their findings. There was one question that arose many times prior to their Phase 2 departure: Will we have time off for leisure and travel activities during the weekends? The answer is simple. They are responsible for their very own progress. Unlike in university, there was no one to tell them to attend class or whatsoever. When and how much they work depended fully on their group coordination, time management, ambition, and motivation. Nonetheless, there was of course time to travel and explore Australia outside of Melbourne. Many of the students took advantage of this as it also might be a once in a lifetime opportunity. After all, a healthy work life balance is also important while conducting field research. Also the teachers encouraged students to have some fun. Exploring the surroundings of Melbourne is also imortant. 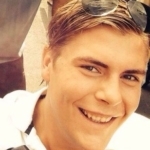 On his blog website, TDM student Roel writes about his trip to the Great Ocean Road. Take a look: Is the Great Ocean Road great? 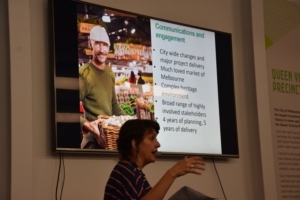 As the last week arrived, TDM lecturers returned to Melbourne to meet with research teams, see their progress and have final consultancy sessions. Students then needed to write down their findings in a research report and create a presentation to be held at the end of the week. Suddenly, everyone was busy and under pressure. However, experience from previous years shows that some of the best reports are written within the shortest amount of time. It is wise to take final impressions into consideration and avoid jumping to conclusions to quickly. 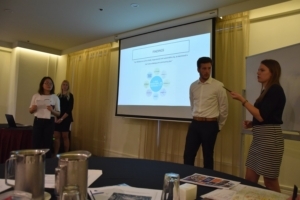 The final presentation day took place in the Windsor Hotel Melbourne. 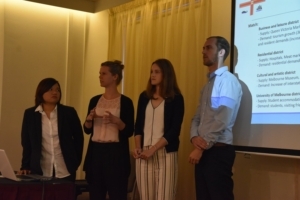 It provided the students with an adequate environment to present the outcomes of their first field research assignment. 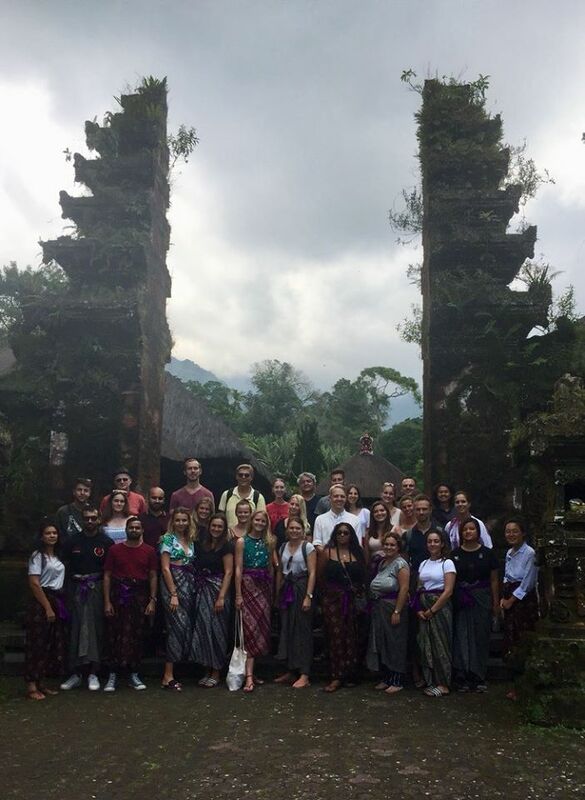 While they merely spoke to their classmates and lecturers, in Sri Lanka and especially in Bali, the presentation day will also feature attendees from local businesses and tourism organizations. 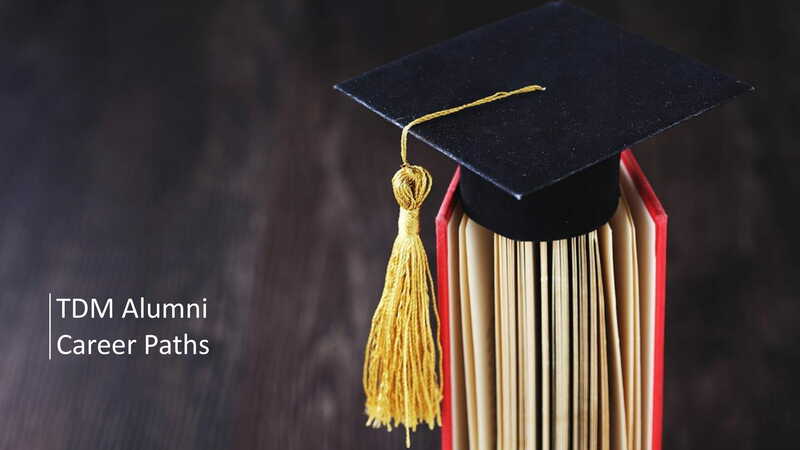 Therefore, students are expected to gradually professionalize both their research- and presentation skills. 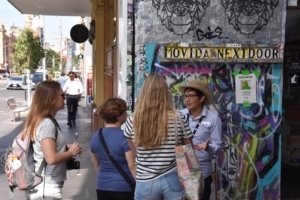 Here you can read about some of the future scenarios that TDM student Pim and his group developed for Micro- and Small Businesses in the CBD of Melbourne. 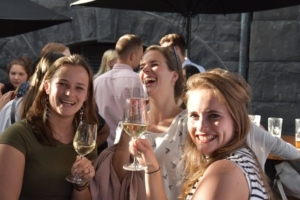 Moreover, he shares some impression of the TDM group activities while in Melbourne: See ya in Melbs! The last of seven interesting presentations rounded up a long day. Finally, it was time for celebrations. 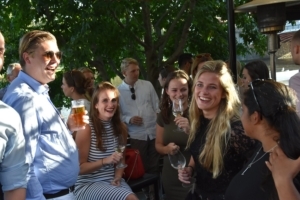 Students and teachers gathered together at the Yarra River for drinks and bites. The first of three steps towards completing Phase 2 was achieved. However, there was little time to release the field work pressure. After only one free Saturday, the TDM students already headed to the airport again. 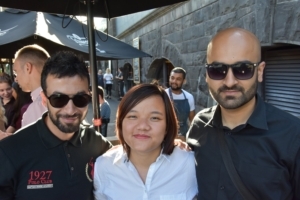 They had to catch their flights to the second field work destination – Sri Lanka.